NEW YORK — On Kawara, a conceptual artist who for over five decades created paintings, drawings, books, and recordings that examined chronological time and its function as a measure of human existence, has died at the age of 81. The death of the New York-based artist in late June was confirmed by David Zwirner Gallery, which has represented him since 1999. 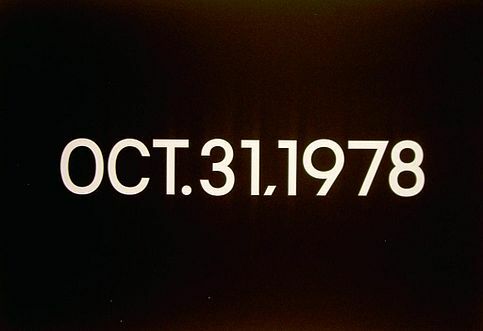 Kawara’s artistic practice was characterized by its meditative approach to concepts of time, space, and consciousness. He began making his now signature date paintings (known as the “Today” series) on Jan. 4, 1966 in New York City and continued to produce them in different parts of the world up until his death. In 2011, “On Kawara: Date Painting(s) in New York and 136 Other Cities” marked his fifth solo exhibition at the gallery in New York, which presented over 150 date paintings selected by the artist. The show was accompanied by an eponymous, fully illustrated catalogue published by Ludion. Other solo exhibitions at the gallery include “One Million Years” (2009), “Paintings of 40 Years” (2004), “Reading One Million Years (Past and Future)” (2001), and “I READ 1966-1995” (1999). One of On Kawara’s “Today” series date paintings at the Art Institute of Chicago. “On Kawara: continuity/discontinuity 1963-1979” was first on view at the Moderna Museet in Stockholm in 1980 and traveled to the Museum Folkwang, Essen, Germany; Van Abbemuseum, Eindhoven, The Netherlands; and the National Museum of Art, Osaka. “On Kawara: Date Paintings in 89 Cities” toured from 1991 to 1993 to the Museum Boijmans Van Beuningen, Rotterdam to Deichtorhallen Hamburg, Museum of Fine Arts, Boston, and the San Francisco Museum of Modern Art. “On Kawara: Whole and Parts 1964-1995” was on view from 1996 to 1998 at the Nouveau Musée/Institut d’art contemporain, Villeurbanne, France; Castello di Rivoli, Turin; Museu d’Art Contemporani de Barcelona; Musée d’Art Moderne, Villeneuve d’Ascq, France; and the Museum of Contemporary Art, Tokyo. His epic project, “One Million Years,” is a monumental series of 24 works comprising “One Million Years [Past],” which was dedicated to “all those who have lived and died,” and “One Million Years [Future],” addressed to “the last one.” The “Past” volumes, noting each year over an entire millennium from 998,031 BC, were started in 1970 and took two years to complete, while the “Future” years, begun in 1980, were written over the span of 18 years and finish at 1,001,997 AD. Together the volumes make up 2,000,000 years. The first audio presentation of “One Million Years,” where male and female volunteers alternate to speak out the dates, took place at Dia Center for the Arts in New York in 1993, and other venues have included Musée d’Art Moderne de la Ville de Paris (2000); David Zwirner, New York (2001 and 2009); Documenta 11, Kassel (2002); Trafalgar Square, London (a continuous outdoor reading organized by the South London Gallery lasting seven days and seven nights, 2004); Stedelijk Museum, Amsterdam (2010); BALTIC Centre for Contemporary Art, Gateshead, United Kingdom (2012); Jardin des Tuileries, Paris (organized in conjunction with FIAC by Galerie Martine Aboucaya and Galerie Yvon Lambert, 2012); and Dia:Beacon, New York (2013). Readings from the books, which directly follow on where the previous venue left off, will continue to take place. A recording is made on each occasion and is available on a CD. Since 1998, Kawara has exhibited seven date paintings at kindergartens around the world under the title “Pure Consciousness.” Among other locations, the paintings have been presented in Abidjan, Cote d’Ivoire; Leticia, Colombia; Toliara, Madagascar; Thimphu, Bhutan; London; Bequia, Saint Vincent and the Grenadines; Yusuhara, Japan; Bethlehem; Tongyong, South Korea; and Brooklyn, with future venues in new locations to be determined. Recent exhibitions include a 2008 solo presentation at the Dallas Museum of Art, which featured all of the artist’s date paintings measuring 61 x 89 inches. Starting at the Ikon Gallery in Birmingham, U.K. in 2002, “On Kawara: Consciousness. Meditation. Watcher on the Hills” traveled clockwise around the world to a dozen venues, including Le Consortium, Dijon, France, Kunstverein Braunschweig, Germany, Institute of Contemporary Arts, Singapore, and The Power Plant, Toronto, before ending at the Museo de Arte in Lima in 2006. A long-term installation of the artist’s date paintings is on view at Dia:Beacon in New York. A retrospective of the artist’s work, “On Kawara — Silence,” is currently being prepared by the Solomon R. Guggenheim Museum in New York. Curated by Jeffrey Weiss, it will open on Feb. 6, 2015. 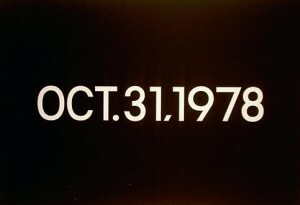 Kawara’s paintings were first shown at the museum in the Guggenheim International Exhibition in 1971. A major show is also planned to open next year at the Museum Dhondt-Dhaenens in Deurle, Belgium. Kawara’s work is represented in the collections of several museums, including Hara Museum of Contemporary Art, Tokyo; The Metropolitan Museum of Art, New York; Museum of Contemporary Art, Tokyo; The Museum of Modern Art, New York; National Gallery of Art, Washington, D.C.; The National Museum of Modern Art, Tokyo; Philadelphia Museum of Art; San Francisco Museum of Modern Art; Solomon R. Guggenheim Museum, New York; Tate Gallery, London; Toyota Municipal Museum of Art, Toyota City; and the Whitney Museum of American Art, New York. According to The New York Times, Kawara kept himself in the background and almost never gave interviews. The few published photographs of him showed him from the back, and toward the end of his life, he stopped attending his own openings. To honor his desire for privacy, his date of death and the names of surviving family members have not been released.